Amidst protests against the Citizenship (Amendment) Bill across Northeast, the union home ministry (MHA) on Tuesday said that under the Bill, nobody would be granted Indian citizenship without the consent of the respective state government. “Without the state government’s recommendations, no one will be given Indian citizenship,” MHA spokesperson Ashok Prasad said. “Each and every individual application for Indian citizenship will have to be inquired into by the district magistrate (DM), who will analyse each case and give recommendations to the state government. The state government also has to do its inquiry through its agencies,” he added. The Citizenship (Amendment) Bill has been passed by the Lok Sabha and is pending in the Rajya Sabha. It provides for making non-Muslim minorities from Pakistan, Bangladesh and Afghanistan, facing persecution in these countries, eligible for Indian citizenship after their stay in India for seven years. 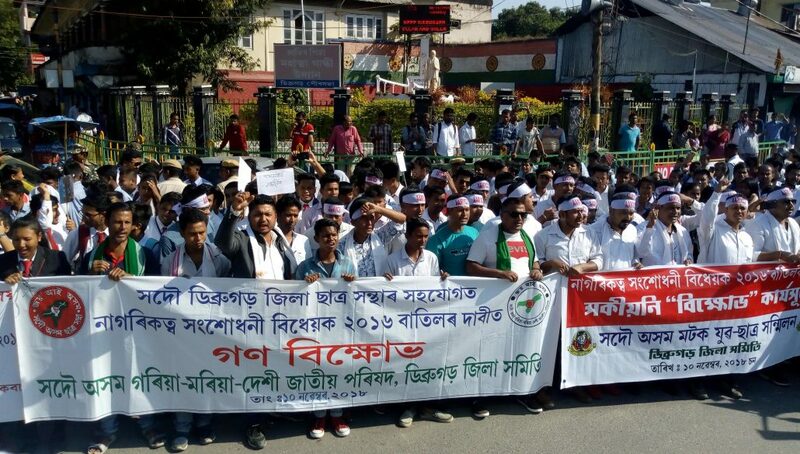 The bill is being strongly opposed by the people and organistions of the Northeast, particularly in Assam where the local parties are saying the new law would render the Assam Accord of 1985 meaningless. Home Ministry sources said the government is mulling to incentivise people seeking citizenship for settling anywhere in India except for Northeast.